For mosts artists the album-making process is the same: record, press and release. 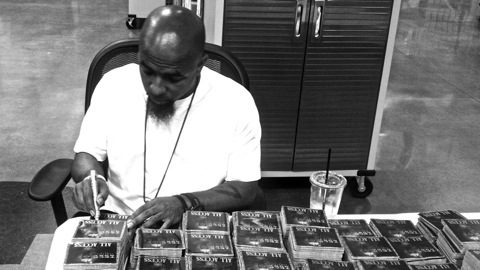 However because this is Tech N9ne and the label is Strange Music, in between “press” and “release” comes the signing of a countless amount of pre-orders to satiate Tech N9ne’s ever-growing and dedicated fan base that pre-ordered Something Else. Tech N9ne’s currently undertaking the daunting task of inking thousands upon thousands of booklets. Luckily the new album is blasting in the warehouse to help him out. 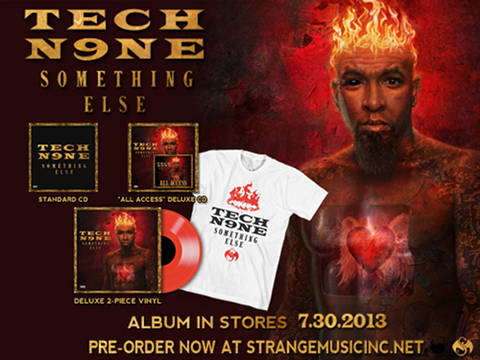 Tweet Tech a shoutout @TechN9ne!